We lived under a sky so blue in Idaho right near the towns of Hunt and Eden but we were not welcomed there. 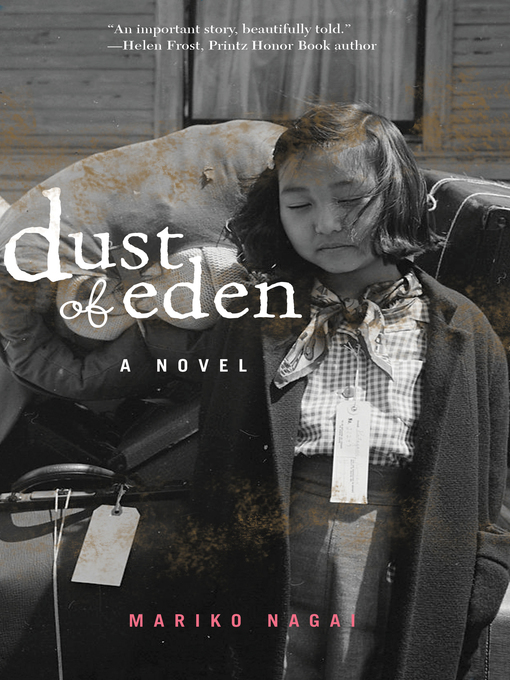 In early 1942, thirteen-year-old Mina Masako Tagawa and her Japanese American family are sent from their home in Seattle to an internment camp in Idaho. What do you do when your home country treats you like an enemy? This memorable and powerful novel in verse, written by award-winning author Mariko Nagai, explores the nature of fear, the value of acceptance, and the beauty of life. As thought-provoking as it is uplifting, Dust of Eden is told with an honesty that is both heart-wrenching and inspirational.